Time for a true confession: As a freelance writer, I have definitely been intrigued by the possibility of making money from blogging. In this day and age, who hasn’t? I’ve made a little money from Adsense ads, affiliate ads, and a few ad sales on my other website Italofile: The Italy Travel Resource. But it hasn’t been enough to quit the proverbial day job. Actually, as a stay-at-home-mom and sometimes trailing spouse of a diplomat, I can’t really quit the day job. But I didn’t start blogging to make money. When I started this blog – way back in 2004! – there wasn’t even the possibility of making money from a blog. Julie, of Julie and Julia fame, was live blogging during this time and there was only an inkling that a blog could be a money-maker, either from being turned into a book, from selling tons of ads, or by catapulting the blogger into the stratosphere of writing and consulting fame, a la Ana Marie Cox, formerly and famously of Wonkette. I started this blog as a way of staying sharp, finding my voice, and, as was the case with Italofile, keeping up-to-date on travel news. My thinking was that these mounds and mounds of posts would be good for my daily writing exercises as well as be good writing samples for anyone who wants to hire me. Those are still my thoughts on the matter. Six years into it (and four with Italofile), I have gotten a little antsy from time to time wondering when/if the money will come. There have even been times when I thought I should sign up for one of them there A-List Blogging Bootcamps. But the more I thought about it, I didn’t want to be part of a bootcamp. I wanted to be an individual. Find *my* voice. Alas, given the chance to download a free e-book with A-List Blogging suggestions, I took it. I began reading the tips from Leo Babauta and co. and evaluating my sites against the advice. As I read more and more, it struck me that a lot of these practices, like writing guest pots, were obvious if not always easily implemented. Then I had a real revelation: I don’t have to go to bootcamp because…. Everything I Need to Know About Blogging I Can Learn From Hip Hop! all I feel is rain” from DMX’s Ruff Ryders’ Anthem and you’ll know what I mean when I say content is the thing. In A-List Blogger speak: “there is no better marketing than writing great articles,” according to Jay White of DumbLittleMan.com. On the A-List Blogging BootCamps website, Leo Babauta says, “Blogs have taken the power from traditional publishers, and given it to ordinary people, like you and me.” (emphasis mine) In Hip Hop terms, that reminds me of hundreds of hungry, determined young kids sending off demo tapes with their best stuff (or, maybe, posting songs to MySpace or similar). Blogging, like rapping, is a skill, yes. But, again, anyone can do it as long as they practice and get their stuff into the hands (or in front of the eyes or on the ears) of the right people (see #3). So if Ms. Mary J. Blige can rise from the projects of New York to become the Queen of Hip Hop Soul, then surely I can rise out of this basement office near Washington, DC, to become a top blogger. Right? Right. Despite no album release for two years, Lil Wayne appeared in numerous singles as a featured performer, including “Gimme That” by Chris Brown, “Make It Rain” by Fat Joe, “You” by Lloyd, and “We Takin’ Over” by DJ Khaled (also featuring Akon, T.I., Rick Ross, Fat Joe, and Birdman), “Duffle Bag Boy” by Playaz Circle, “Sweetest Girl (Dollar Bill)” by Wyclef Jean (also featuring Akon), and the remix to “I’m So Hood” by DJ Khaled (also featuring T-Pain, Young Jeezy, Ludacris, Busta Rhymes, Big Boi, Fat Joe, Birdman, and Rick Ross). All these singles charted within the top 20 spots on the Billboard Hot 100, Hot Rap Tracks, and Hot R&B/Hip-Hop Songs charts. On Birdman’s 2007 album 5 * Stunna, Lil Wayne appeared on the singles “100 Million” and “I Run This” among several other tracks. Wayne also appeared on tracks from albums Getback by Little Brother, American Gangster by Jay-Z, and Graduation by Kanye West and Insomniac by Enrique Iglesias. “Make it Rain”, a Scott Storch production that peaked at number 13 on the Hot 100 and number two on the Hot Rap Tracks chart, was nominated for the Grammy Award for Best Rap Performance by a Duo or Group for 2008. So, it’s almost like Weezy didn’t even update his own blog for two years but was still getting some serious cred thanks to guest posting, er, rapping. But, when he did finally release an album in 2008, it sold more than 1 million copies in 1 week. Sure, it’s hard to compare the blogosphere with the music industry – and who’d want to in this crazy economic climate? – but this anecdote does tell you something: guest posting (starring) pays off. You’ll reach a much wider audience in the long run. For bloggers, self-promotion has become much easier thanks to Facebook and Twitter. Of course, there’s the tried and true way of guest posting, too. But I also think this is hard advice to follow for some of us writers. We write because it’s easier for us to say things on paper or on screen than it is face-t0-face. Overcoming this timidity by promoting our stuff is a challenge. This is where we need to summon the shameless self-promotion powers of Jay-Z. From the beginning, Mr. Z (I know, Mr. Carter) has never doubted his rapping abilities. 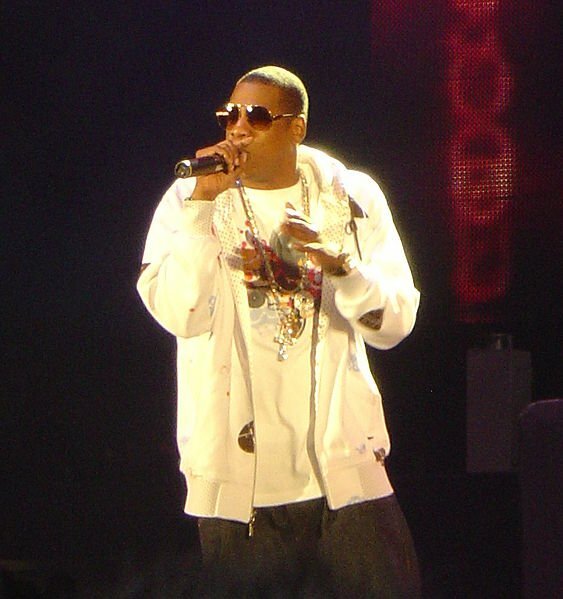 In one of his most recent – and most infectious – hits Empire State of Mind, Jay raps, “I’m the new Sinatra, And since I made it here, I can make it anywhere, (Yeah they love me everywhere).” In Beyoncé’s Crazy in Love, Jay-Z even self-promotes on his guest rap, alluding to his nickname HOVA (the s0-called God (Jehovah – Jay-HOVA) of rap), which is also mentioned in countless other hits from him. You know, Jay-Z pulls a #3 and a #4 for Crazy in Love and got a wife out of it, too. His way must be the right way. So, don’t fear a little self-promotion. Because if you don’t do it for yourself, who will? Everyone loves to be admired and recognized by their peers. In blogging, a shout-out is simply link love – linking to a site or sites that you admire so that that blogger can get credit where it’s due. Organic links – ones that come from “real” blogs – are what make the blog SEO world go ’round. So shout-outs are as good to give as they are to get. Of course, if you’re linking to a site and dissing it at the same time, you may want to try adding a “nofollow” attribute. There are probably tons of other ways I can compare the A-List Blogging and Hip Hop Handbooks. Can you think of any? I don’t even want to get into rap rivalries. Though I’m thinking that the blog world equivalent may be flame comments. Ha! That could be a fun future post. Interesting comparison and very true. “Self Promote, Self Promote” Rappers are definitely not shy about self promotion, and us bloggers shouldn’t be either. So what would be the blogger equivalent to “Bling…Bling”? Many of the techniques you wrote about were used to get me here to write this comment. I found you on Twitter through a high quality tweet. That led me to your profile and onto this blog. Great content led me all the way down to the end of this post. I love your writing style. I’ll be keeping an eye on your blog!